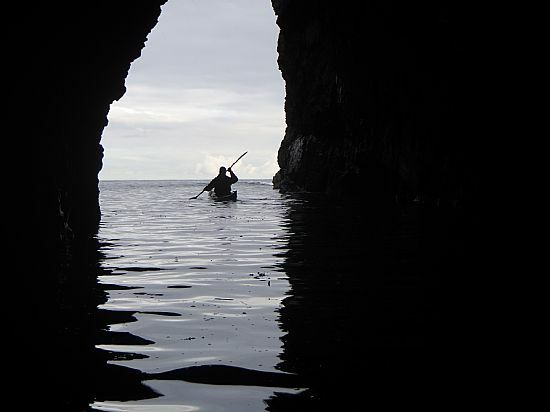 Orkney is a world class paddling destination with often challenging conditions and fast flowing tides for the experienced paddler but, if you prefer, you can nearly always find sheltered waters whatever the weather. Britain's highest cliffs, really impressive caves, arches and tunnels, miles of sandy beaches, wrecked ships, World Heritage Site status archaeology, teeming with wild life, the Orkney Islands have it all. During the summer months Club Members meet up on Tuesday and Thursday evenings and sometimes for longer trips at the weekend. Please CLICK HERE for futher details. Sea paddles are open to KKC and OSKA Members. Visiting paddlers who wish to join us on a paddle can become Visiting Members for a nominal fee. This will however be at the discretion of the Trip Leader on the day. Pool training takes place during the winter months in the swimming pool at Pickaquoy Sports Centre and the next round of sessions begins in February. 5 x Sundays from 3 February to 3 March 6 - 7 pm. These sessions are for junior kayakers under 18 years of age and are restricted to 16 places. Cost is £20 payable at the first session. Book your place by CLICKING HERE. 5 x Tuesdays from 5 February to 5 March 8.30 - 9.30 pm. No booking, everyone welcome, including complete beginners. Adults £6 and Juniors £4. Sundays 17 February and 3 March 7 - 8 pm, immediately after junior session. Adult only and the cost is £10. Sea kayaks are welcome at these two sessions. Please CLICK HERE for further information on pool training. Kirkwall Kayak Club embraces the principles of GPDR and cares about protecting the privacy of Club Members. Our week in the Blue Door raised £2839.61!! What an amazing facility the Blue Door is! Well done everyone and a special enormous thank you to Eileen Spence and her Blue Door team. The money raised will be part of our contribution to a lottery funded project to update our coaches and also purchase boats and equipment to support our successful training programme which embraces all ages from children to the not so young. 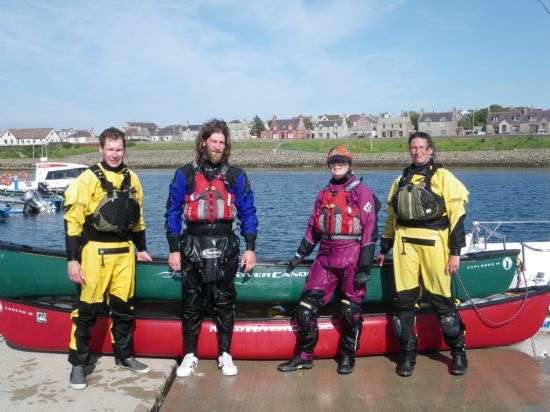 Kirkwall Kayak Club is affiliated to the Scottish Canoe Association. Please CLICK HERE to contact Kirkwall Kayak Club. Founder member John Mowat has been kayaking for over forty years and has held British Canoe Union (BCU) coaching qualifications for most of that time. Our UKCC Level 2 Coaches (L to R) Peter Woodward, Kristian Cooper, Lesley Mackay and Mary Saunders. Kristian is a 4 Star Leader with Moderate Water Endorsement.